During these troubling financial times we understand that many people are watching their dollars very closely. However, the possible financial hardships that may arise from not hiring an expert to manage and maintain your property could quickly become costly. Many times, people choose to hire a property manager to help them in the day to day tasks, which could be just the answer you’re looking for.To help make up your mind if hiring a property manager is right for you, here are 10 reasons that could help influence your decision. 2. Housing Regulations and Property Law. There is a multitude of applicable laws and regulations that you are going to need to abide by when renting and maintaining your rental property. These include local, state and federal regulations, as well as fair housing regulations. A property manager can help you avoid lawsuits by keeping up to date and in compliance with these regulations. A good property manager is going to have experience in offline and online marketing. Carrying a vacant property can be extremely expensive, and is an expense you want to avoid whenever possible. A property manager is going to make sure your rental rates are competitive, which is the key to securing (and keeping) tenants in your property. Their job is to know the rental market. 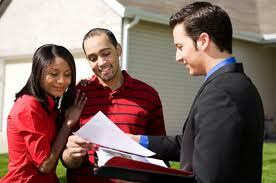 5.Collecting and Depositing Monthly Rent Payments. If you've ever worked in the billing department of an organization, you know that securing payment from renters can be difficult, not mention awkward. A property manager has his/her own systems in place to effectively collect rent and maintain on-time payments. A residential property management company will shield you from emergency maintenance calls and tenant headaches. Imagine never having to deal with late night "my toilet is overflowing" call. A property manager has existing relationships with maintenance workers, tradesmen, vendors, supplies and contractors that you do not have. This can save you significant time and money when it comes to maintenance on your rental property, not to mention ensuring quality work. Property Managers’ will provide detailed income and expenses reports as well as cash statements every month saving you the bookkeeping headache. Additionally, property managers will also manage your security deposit escrow funds and make sure you are in compliance with local and state regulations. PM's will provide end-of-year tax reports for your accountant or financial advisor.